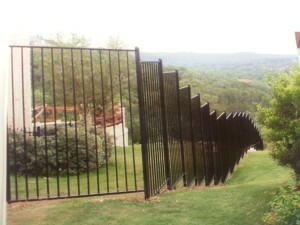 My experience with American Quality Fence was great!!! The guys did a wonderful job on my fence. They picked up all material, trash and tools on a daily basis keeping my yard safe, nice and neat. Thank you guys for best fence ever. I want to thank you and your crew for the wonderful job you did on our fence. The work was done to perfection on time, and at the price you quoted. Thank you. I would like to take this time to tell you how impressed I was with your professionalism. Jim you showed up on time from the very beginning, you also kept us informed through out the job. You told us the material you use is the best available (we are very pleased with quality). Our fence looks great We are so happy with the whole experience. American Quality Fence thank you for the hassle free job if the rest of our new home went half that way I’d have a lot less gray hair. Tell Tracy thank you for all the extra time and work he did. Thanks Jim. I can see why you came so highly recommended you and your crew were great. Fence looks great my wife loves it and definitely improved our property. Thanks for all your help. The fence is beautiful and your crew was on time. You guys rock! You actually did what you said you were going to do. When the guys finished, they actually took the time to clean the yard. Thanks for everything.